Our model picks who’s contending and who’s rebuilding in all three divisions. It’s opening week in the major leagues, and we’re catching up on what baseball’s been up to over this very odd offseason — and looking forward to the season ahead. We’ve enlisted the help of our preseason forecasting model, which assesses every team and offers a projection for their 2018 campaign. I’ve also highlighted the most interesting teams and players to watch during the year, as well as the ones about which we just don’t have any clue. (¯\_(ツ)_/¯) What follows is our take on the National League — for the American League, click here. Team to beat: Washington Nationals. Aside from a stunning implosion in 2015 and a distant runner-up finish to the Atlanta Braves (remember that?) in 2013, the Nats have owned this division for most of the decade. For at least one more season, things should play out basically the same way. Washington returns essentially all of the core that won 97 ballgames a year ago, plus it’ll have leadoff man Adam Eaton back after a knee injury cost him most of last season. Nobody quite knows what to do with the Mets (see below), and the Phillies are finally on the rise. But it would take another unlikely confluence of underperformance from the Nationals and a breakout elsewhere for anybody to catch Washington this year. The Nats should savor it while it lasts — with Bryce Harper and others due for free agency after the season and Philadelphia and Atlanta soon emerging from their tanking projects, this division could look very different in a few years. But for now, it’s all Washington. Team ¯\_(ツ)_/¯: New York Mets. Touted last season to contend for the East, the Mets got out to a miserable, injury-riddled start and never recovered. They do have a new manager now, former Indians pitching coach Mickey Callaway, and pitching was the biggest issue with last year’s squad. (New York actually finished 11th in position-player wins above replacement.) But Callaway was basically the extent of the Mets’ offseason improvements, aside from re-signing ex-Met Jay Bruce and scavenging third baseman Todd Frazier and reliever Anthony Swarzak in free agency. Essentially, the Mets’ 2018 season hinges on the same factors that destroyed them in 2017: the health and effectiveness of their pitching staff. Stay tuned to see how that works out. Rebuild alert: Miami Marlins, Atlanta Braves. The Phillies had been in this category for years, but they spent the offseason finally making win-now moves. Even the Braves, with their incredible farm machine,1 won’t be long for this list. But the Marlins … whoo, buddy. Miami has just begun its descent into tanking hell, with new ownership and an offseason sell-off that actually surpassed the franchise’s famous fire sale two decades ago. Our model considers the Marlins the worst team in baseball, so let the rebuild commence. Player to watch: Noah Syndergaard, Mets. Last April, “Thor” was well on his way to once again ranking among the game’s best pitchers. Then he tore a lat muscle — and wouldn’t be seen back on an MLB mound until a very odd, meaningless late-September co-start. (Don’t ask.) Syndergaard is healthy again, however, and according to FanGraphs’ numbers, he projects as the third-best pitcher in baseball. What’s more, those projections don’t factor in the fireballs he was hurling in the spring, ostensibly trying to prove he’s still the hardest-throwing starter around. (We get it, Noah.) If Syndergaard stays healthy, he should dominate. 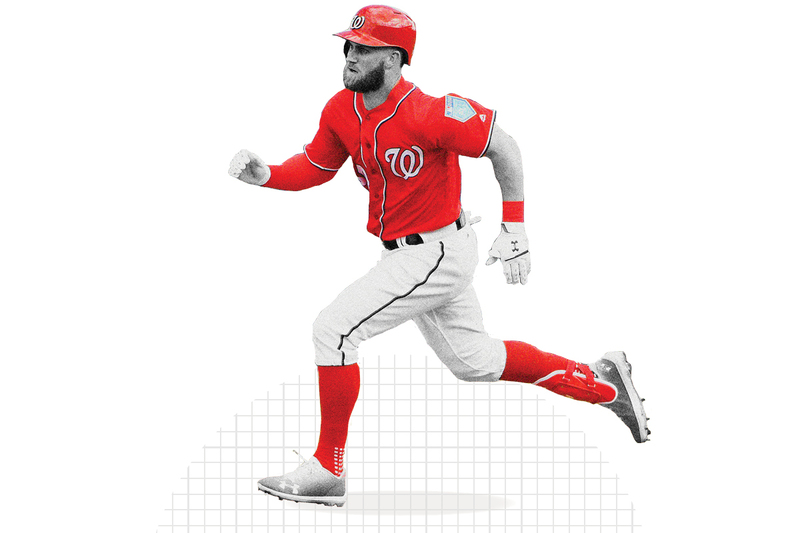 Biggest enigma: Bryce Harper, Nationals. Harper is projected to be the eighth-best position player in baseball this season, but he’s far from a sure thing. Despite being one of MLB’s most exciting players, his numbers have bounced around wildly in the past few seasons. In 2015, we saw Harper perform at a level few players have ever attained, producing 9.5 WAR with a weighted on-base average 97 percent better than league average. The following year, he was down to a measly 3.5 WAR with a weighted OBA only 12 percent above average. And last year? He hit like an MVP in the early going but was injured later in the season, ending up with 4.8 WAR and a wOBA 56 percent better than average. No player’s WAR has moved around more from season to season over the past three years, so it’s anybody’s guess where Harper will end up in 2018. Team to beat: Chicago Cubs. Last year’s Cubs suffered one of the worst championship hangovers in baseball history, dragging them down from the historic heights they’d reached in 2016. (Note: They still won 92 games. Everything’s relative.) But between the offseason and last year’s trade deadline, Chicago now boasts a revamped pitching staff to go with a young core of position-player talent that already ranks among baseball’s best. The Cardinals, eternal archnemesis to the Cubs, are shaping up for a resurgent season as well — and who knows what to make of the Brewers (more on them later) — so this division could make for an exciting summer. But out of that triad of contenders, the Cubs are clearly the favorites to win the Central crown. Team ¯\_(ツ)_/¯: Milwaukee Brewers. Milwaukee is an extremely difficult team to figure out heading into the season. The Brew Crew surprised everyone by winning 86 games last year, even leading the division as late as July 25. It also dealt aggressively over the winter, picking up both Lorenzo Cain and Christian Yelich to patrol Miller Park’s outfield. But the forecasters are pretty split over the Brewers’ potential in 2018. Some systems see them pushing the Cardinals and Cubs again; others think they’ll struggle to crack .500. Our aggregation of various projections calls for 83 wins, but like Minnesota in the AL, this is another forecast I suspect we’re too low on. Rebuild alert: Cincinnati Reds, Pittsburgh Pirates. The Reds have been rebuilding for a half-decade now, if we include this season — and our projections say we most definitely should. Someday, perennial MVP candidate Joey Votto could play for a winning team again, but it probably won’t be this year (and it might not be for Cincinnati, either). Meanwhile, the Pirates are just embarking on their rebuilding journey, having traded away franchise cornerstone Andrew McCutchen and ace Gerrit Cole. Pittsburgh probably could have made one last run at the playoffs this year if it had hung on to its stars, but that would have required everything to go right. Instead, general manager Neal Huntington opted to close the book on the franchise’s best period since the early 1990s. Player to watch: Jose Quintana, Cubs. When the Cubs picked up Quintana from the White Sox at last season’s trade deadline for a handful of prospects, it was about more than just renting help for the stretch run in 2017. Quintana’s contract extends through this year, with team options for 2019 and 2020 as well, so the Cubs were locking down one of the game’s most valuable arms for the long haul. According to FanGraphs, Quintana is projected to be a top-10 pitcher by WAR this season. Along with new teammate Yu Darvish, he should help Chicago recapture some of the form of its banner 2016 campaign that produced the third-best rotation in baseball. 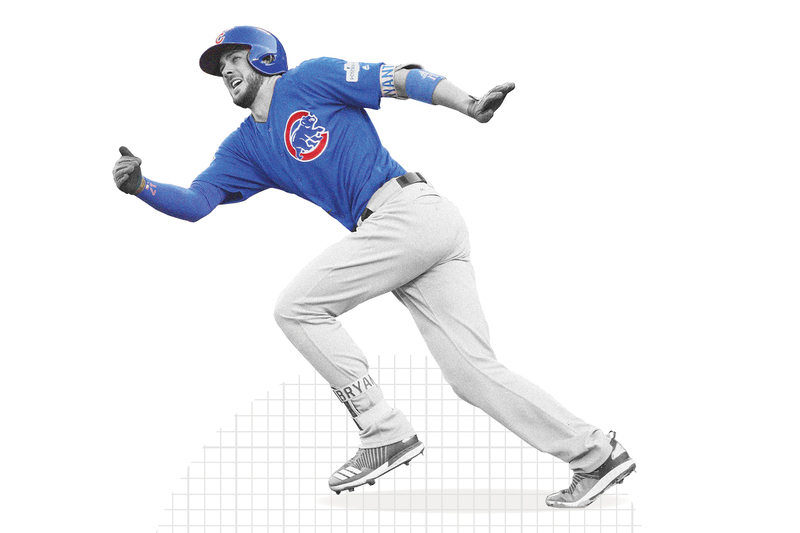 Biggest enigma: Kyle Schwarber, Cubs. Schwarber’s career has already gone through so many twists and turns, it’s hard to remember that he’s still just 25 years old, with a shade over two years of MLB service time. Schwarber flashed outstanding potential at the plate in a half-season of action in 2015, and he provided instant memories when he returned from injury to hit .412 in the 2016 World Series. But a cold start buried his 2017 numbers, even though he hit quite well from July onward. Toss in an offseason of serious weight loss, and it seems like Schwarber is poised for a big breakout season — but still, FanGraphs’ projections see him generating between 0.9 and 3.0 WAR, so he’s stuck on the enigma list for now. Team to beat: Los Angeles Dodgers. At times last season, L.A. looked like it might belong among the greatest teams of all time. But it also looked like trash during one September stretch — then turned around and very nearly won the World Series. We can’t guarantee this season will hold as many ups and downs for the Dodgers, but they should be quite good once again. 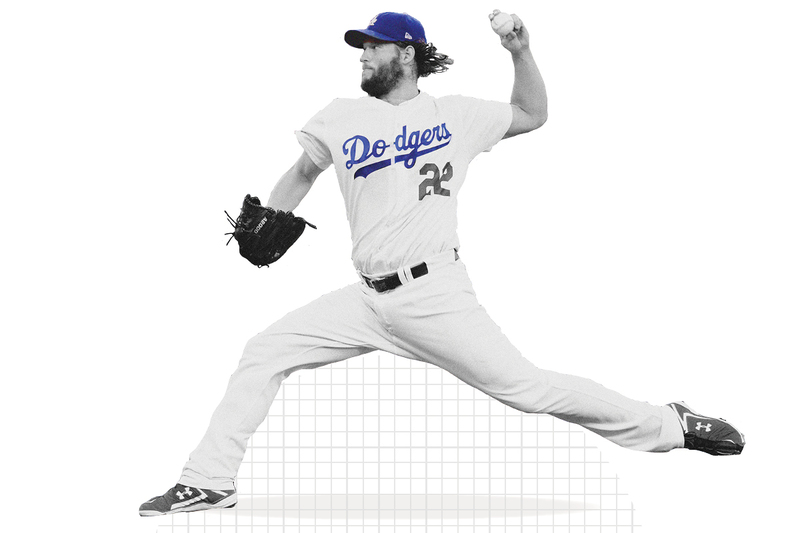 Start with the NL’s best projected pitcher (Clayton Kershaw), add in its top reliever (Kenley Jansen), and mix in four hitters projected for at least 3.3 WAR (Corey Seager, Cody Bellinger, Justin Turner and Yasiel Puig), and you’ve got a recipe for the top team in the National League. This division is pretty stacked in general, though, so you might see both wild-card slots go to NL West teams again. Team ¯\_(ツ)_/¯: San Francisco Giants. The Giants’ weird run of even-year success seemed poised to end this season after the team sputtered to 64 wins a year ago. But San Francisco refused to let one of the most disappointing campaigns in recent history deter them. No, the Giants went out and acquired a bunch of recognizable names over the winter, including potential future Hall of Famers Andrew McCutchen and Evan Longoria. Will their efforts work? Well, PECOTA lists the Giants on the periphery of the playoffs. But other projections are less bullish. Also working against San Francisco: Only six teams in history have gone from 85 or more wins2 in one season to 70 or fewer the next, then back to 85 or more the season after that. A spring training injury to ace Madison Bumgarner — see below — isn’t helping matters, either. Rebuild alert: San Diego Padres. San Diego is perpetually rebuilding — it hasn’t finished above .500 since 2010 — and the Padres were dealt another blow3 when Japanese two-way prospect Shohei Ohtani spurned them this winter. But the team has ranked third in Keith Law’s farm-system rankings in back-to-back years now, helping produce a few encouraging prospects who might be part of the next contending Padres team. That team probably won’t come along this season, though: Our model assigns the Padres the lowest division-title probability of any team in the National League. Player to watch: Corey Seager, Dodgers. Los Angeles has so many stars at its disposal that, Clayton Kershaw aside, it can sometimes be difficult for them to get their proper due. Take Seager, a slick-fielding, great-hitting, 23-year-old shortstop who ranks fifth among position players in WAR over the past two seasons. A player like that would be the centerpiece of most teams, but Seager finished behind three teammates (and tied with another) in MVP voting last year. Sure, some of that owed to Seager missing time with elbow and back problems. But when he’s healthy, Seager ought to be in the running with Kershaw for the title of L.A.’s best player. Biggest enigma: Madison Bumgarner, Giants. No pitcher in baseball looks more lights-out when he’s at his best than Bumgarner, whose playoff exploits are the stuff of legend. But that peak performance hasn’t always translated fully in the regular season, where Bumgarner ranks only 15th among qualified starters in fielding-independent pitching since his rookie season of 2010. Beyond that, his customary durability faltered last season, as a dirt bike accident landed him on the disabled list for several months with shoulder and rib injuries. And just this week, a stray line drive broke a finger on Bumgarner’s throwing hand, costing him an estimated six to eight weeks of action. If Bumgarner doesn’t dominate when he returns, the Giants’ bounce-back season might be doomed to failure. Even after Atlanta was punished for the international signing rule violations that got former GM John Coppolella banned for life from MLB.